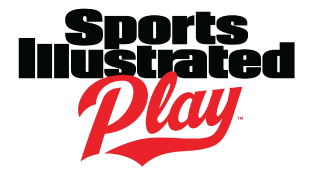 2019 Spring Information Register your player for the 2019 Spring Season on the SI site. REGISTER NOW! Chaires-Capitola Little League has umpire opportunities for both volunteer and paid positions behind the plate and in the field. 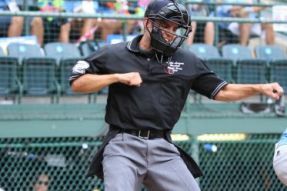 Umpires are needed for machine pitch, minor and major baseball and minor and major softball. All levels of experience are welcome. Chaires-Capitola Little League has a great tradition of concession services and to ensure we continue to serve our families. WE NEED YOUR HELP! 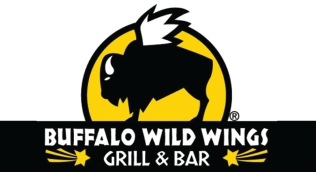 Volunteers are asked to serve customers at times when games are being played and handle money and credit card processing. 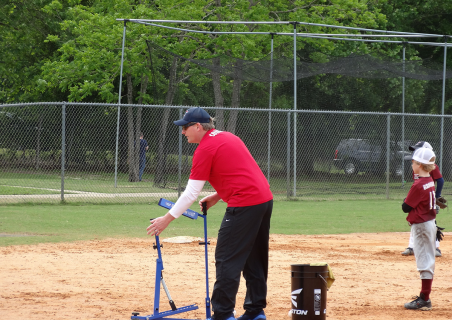 Our volunteer coaches are the life bood of Little League Baseball. Be a Manager or Assistant Coach. 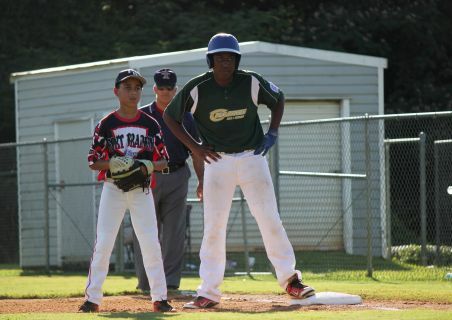 There are opprotunities for all levels of experiece, from TeeBall to Majors. If you are a ball player yourself or want to work to help develop leaders, we have a place for you. 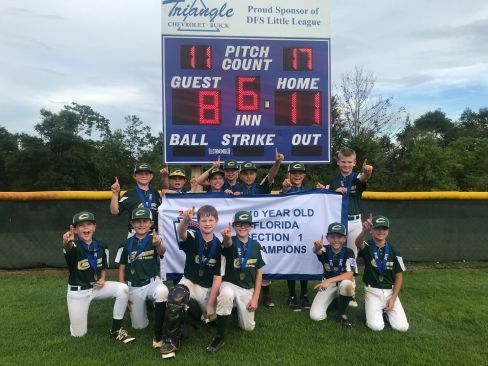 The 2018 Chaires-Capitola Machine Pitch All-Stars went undefeated in the District 20 tournament. The team, Coached by Ken Powell, Scott LaFuria, Ken Cooksey and Eric Casto, closed out the tournament with a win over Northwest Leon by a score of 11 to 1. We would like to thank Northwest Leon for hosting a great tournament. The team went to Shalimar to play in the first Machine Pitch Sectional tournament against Shalimar, the District 1 Machine Pitch Champions. Chaires finished as runner-ups but gained some great experience with tournament play. We are looking forward to watching these player develop in the coming years. 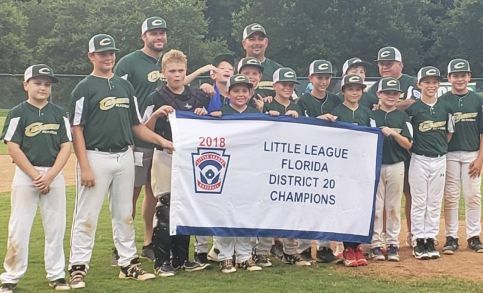 The Machine Pitch All-Stars swept the District 20 Tournament. 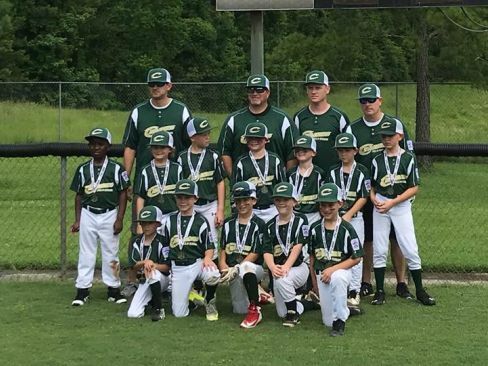 Fort Braden Little League hosted the Minors (9-10) District 20 All-Star tournament, which included representatives from Chaires, Northwest LL, Woodvile. The Minors All-Stars were coached by Manager Bill Garber, Assistants Chris Chavez, Zack Wetzel and Brian Garber. The Team swept the District 20 tournament to advance to the Sectional Tournament against Destin. The Sectional tournament was played in Shalimar on July 7th-8th. Chaires won the tournament going 2-1 to advance to the State Tournament. Although the team did not make it to the state title game, they represented the park at the state tournament like champions. Their bracket was made up of four teams and the top three, including Chaires, finished 2-1. It was only due to run differential that they were kept out of the state tournament championship game. They finish their All Star run with a 7-2 record. They have earned their place in Chaires’ history as one of the league’s best teams. Congratulations to all the coaches, players and parents on a job well done. Click here to read an article from the Tallahassee Democrat about the team All Star run. Minors All-Stars celebrate after winning their sectional tournament. 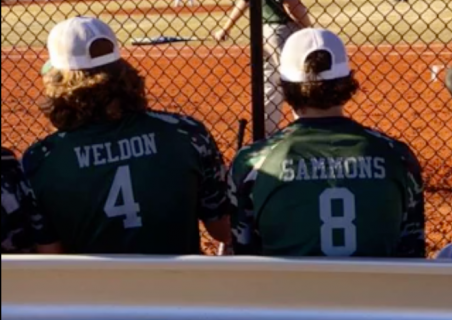 The team advanced to the State tournament in Bradenton. The Chaires-Capitola Little League 11-12 All-Stars swept the District 20 tournament. 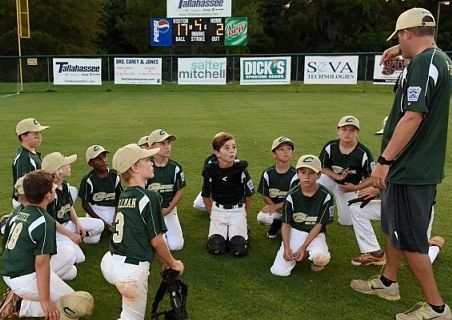 They advanced to the Sectional Tournament and faced a tough Niceville Valparaiso All Star team. Chaires took game two but lost the tournament with a very respectful 8 run differential. The team was coached by Manager Kasey Pressley and Assistants Mike Runyan and Bob Steele. The team demonstrated a never quit attitude and made the league proud. Majors All-Stars celebrate their 4-2 victory over Northwest Leon. Tee Ball Baseball is for boys and girls 4-6 years old (with a local option for 6- and/or 7-year-olds) who want to learn the fundamentals of hitting and fielding. 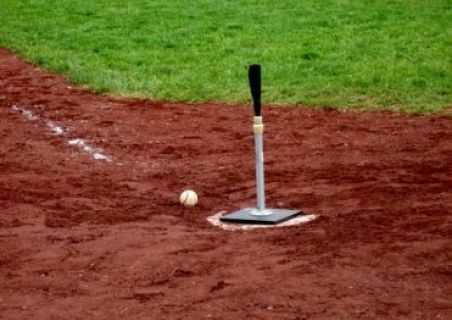 In Tee Ball, players hit a ball off a batting tee. Rules of the game may be varied to accommodate the need for teaching. The primary goals of Tee Ball are to instruct children in the fundamentals of baseball and to allow them to experience the value of teamwork. Intermediate Machine Pitch will be comprised of Baseball Age 6 and 8 year olds and will be a machine-pitch format. 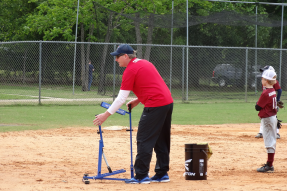 Our pitching machine throws 34 to 38 mph strikes at a pretty even level with the 6 and 8 year old batters strike zone offering these batters the opportunity to apply the best hitting mechanics (unlike coach pitch the high path and arc of the ball breeds poor hitting mechanics). This is always the most exciting division to watch as the players get consistent pitches from the machine and it's a hitting and fielding fast moving experience like no other baseball division. 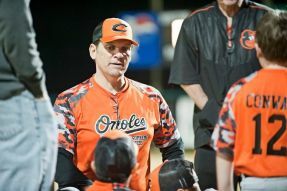 Minor League Baseball division is for boys and girls ages 8-10. The diamond used is a 60-foot diamond and the pitching distance is 46 feet. 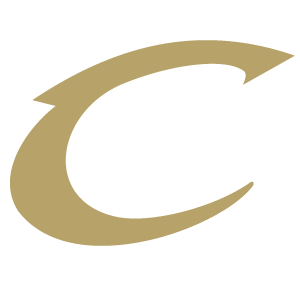 The Minor Division was established as a tournament program in 1994. It gives children of this age the opportunity to experience tournament competition, up to state level. Minor League Baseball division is for boys and girls ages 8-10. The diamond used is a 60-foot diamond and the pitching distance is 46 feet. The Minor Division was established as a tournament program in 1994. It gives children of this age the opportunity to experience tournament competition, up to state level. 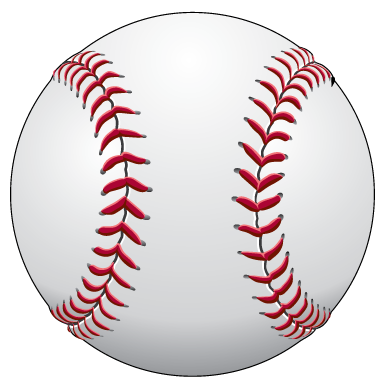 The Senior League Baseball Division is for boys 13-16 years old, using a conventional 90-foot diamond with a pitching distance of 60 feet, 6 inches. 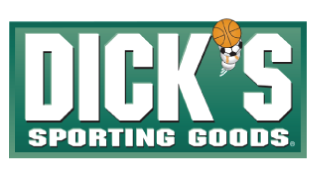 The organization has an option to choose a Tournament Team (or "All Stars") of 13-16-year-olds from within this division (and/or from within the Junior League or Big League divisions), and the team may enter the International Tournament. The culmination of the International Tournament is the Senior League Baseball World Series, featuring teams from around the world. All expenses for the teams advancing to the World Series (travel, meals and housing) are paid by Little League International.